SAINT AUGUSTINE – The St. Augustine Art Association announces the establishment of the Clark and Alice Alger Awards for Artistic Excellence in Plein Air to be presented at the 3rd Annual St. Augustine Plein Air juried exhibition, “Where Art Meets History.” The exhibit features original works produced during the citywide Paint Out in April that capture the historic, architectural and coastal beauty of the nation’s oldest city. The Alger Awards, totaling $2,500, including a $1,000 Best in Show, will be announced at the exhibit opening on May 3. Clark and Alice Alger have been long-time benefactors of the arts in St. Augustine. 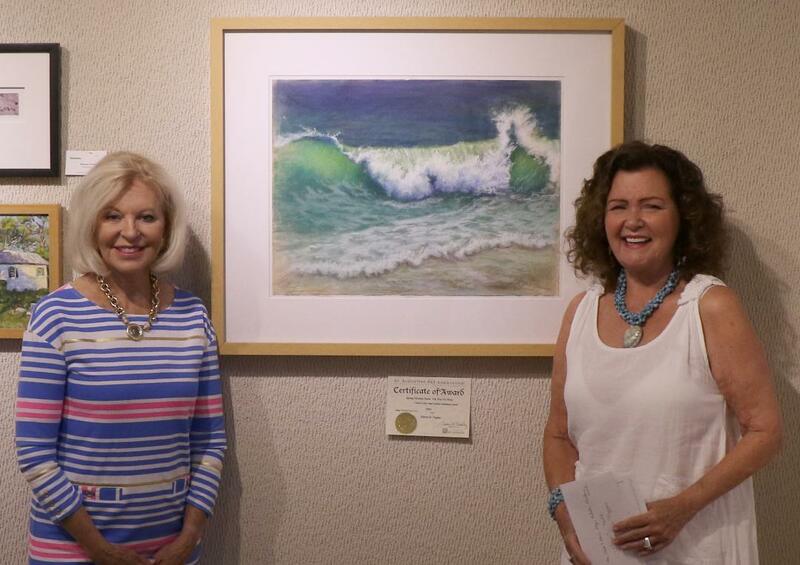 In 2017, they established the bi-annual Clark and Alice Alger Artistic Excellence Awards, given at the Fall and Spring St. Augustine Art Association Member Shows. Winners have included Marcia Pappas, professional studio artist (Spring 2017), Roger Bansemer, host of the PBS “Painting & Travel” series (Fall 2017), Richard Lundgren, signature pastel artist (Spring 2018), and Xi Guo, internationally acclaimed watercolorist (Fall 2018). Additionally the Alger’s gifts have supported children’s art camps and exhibits. The local benefactors were lauded in 2008 for construction of The Clark and Alice Alger Tranquility Garden at Flagler Hospital, which features colorful mosaics as focal points. Alice Alger selected Manila Clough and Debi James to design and install the mosaics, made up of glass, tile and other materials. Both James and Clough are member artists of the Art Association. Promoting artistic excellence through education, outreach and exhibitions is the central mission of the St. Augustine Art Association, according to Brady. The organization produces juried themed exhibitions throughout the season, showcasing artists of all levels and genre. Membership to the Association is open to all and volunteerism is encouraged. The St. Augustine Art Association is located at 22 Marine Street. Admission to the gallery is free. For information about the 3rd Annual St. Augustine Plein Air Paint Out and Planned Giving programs, call (904) 824-2310 or go to www.staaa.org.